A handover event to celebrate the successful completion of the conservation and repair of Newark Castle Walls took place in Newark Castle grounds on Tuesday 16 July 2013 at midday. The celebration, with invited guests from Newark and Sherwood District Council, Friends of Newark Castle, WREN (part funders of the project), Councillor Tony Roberts, members of the project team from Woodhead Heritage and local authority controlled organisation Scape. The celebration included the planting of a Floribunda Iceberg Rose Bush and the presentation of a commemorative plaque carved by an Apprentice Mason who is serving a six month Apprenticeship with Woodhead Heritage. The celebrations also included speeches from Andy Statham of Newark and Sherwood District Council, Director of Community, Allan Towler from the Friends of Newark Castle as well as Glenn Slater, Business Development Director of Robert Woodhead Limited. The event marked the successful partnership between Newark and Sherwood District Council and Woodhead Heritage who have completed the conservation and repair project to Newark Castle Walls. The project was awarded to Woodhead Heritage in late 2012 through the EMPA Minor Works framework. The Heritage specialist was chosen having proven experience in Heritage and following the successful completion of previous projects with Newark & Sherwood District Council including the five phase conservation project at Kelham Hall. The latest project at the Castle took four months to complete with an investment of approximately £270,000. Woodhead Heritage, a local heritage specialist based in Newark, ensured the project was completed with 100% of local labour sourced within a 20 mile radius of the site. Even with minimal intervention as a key to the project, Woodhead Heritage still needed 10,941 feet of scaffolding poles and five miles of scaffolding planks! The project was completed in time for the Elemental Force event held at the Castle in March. Woodhead Heritage, with Robert Woodhead Ltd, will continue to work with Newark & Sherwood District Council having just been awarded the project to conserve, restore and refurbish the old Magnus Buildings on Appleton Gate in Newark. Pictured Right: Cllr. 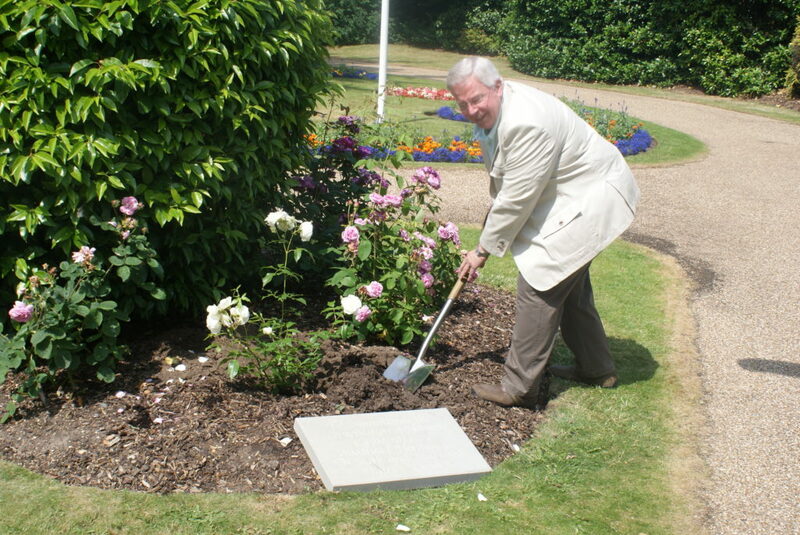 Tony Roberts planting the commemorative Rose Bush.